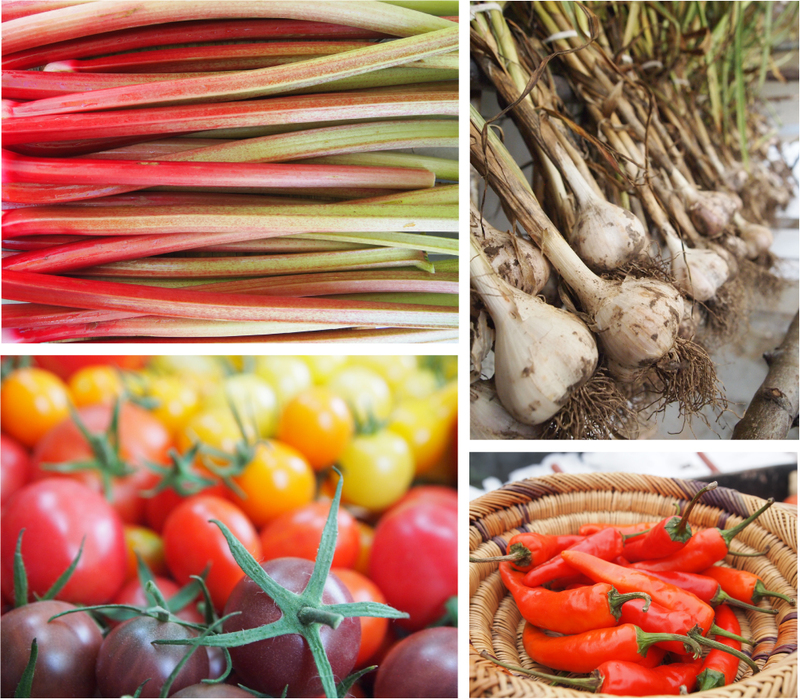 Throughout the growing season, you will find fresh-picked produce and herbs from Cycle Farm at our market farm stand. Everything grown using organic methods (not certified). 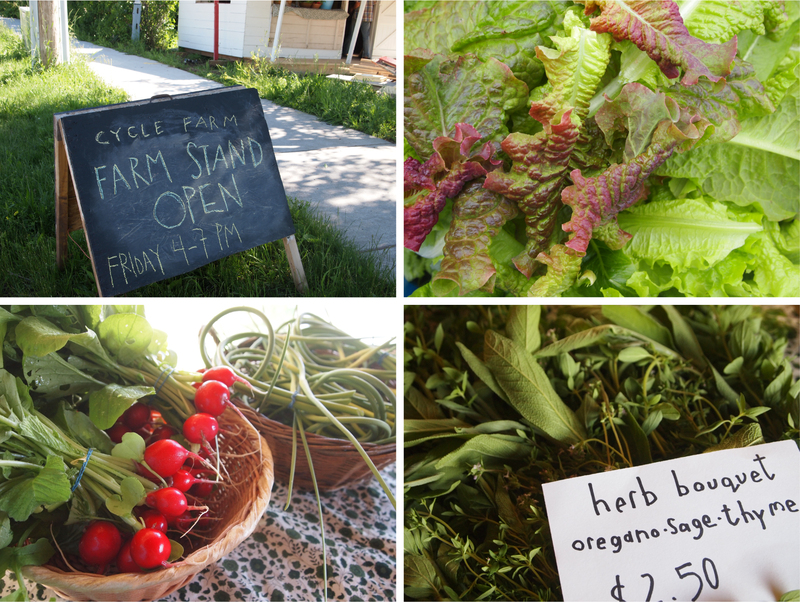 Also available at the farm stand: eggs, Jeremy’s hand crafted wooden kitchen utensils, dried herbs and teas, seeds, you-pick herbs and flowers, spring plant starts for your home garden, block print note cards, and other wonderful wares from our farm. The stand is located at Cycle Farm, 287 Evans Lane and starting April 14th, 2018, is open on Saturday mornings, 9-noon, and starting mid June Thursday evenings 4-7. We accept cash and checks. Here is a map to the farm stand. We look forward to seeing you! Parking – There is (limited) parking available at the farm stand, there is additional parking in our driveway, up by the garage. We have been asked to not have cars park along Evans Lane and we appreciate your help with this. We do have lots of bicycle parking available. More about our amazing farm stand and its history– please check out this story on how we moved the building and this great article from the Black Hills Pioneer, Restoring — and restocking — a Spearfish farm stand.